Dr. Riehl was born and raised in Southern California and received her BS from Loyola Marymount University. After college she worked as a veterinary technician, small animal research biologist and high school biology teacher. She then went to vet school at UC Davis, where she met Dr. Thomas. 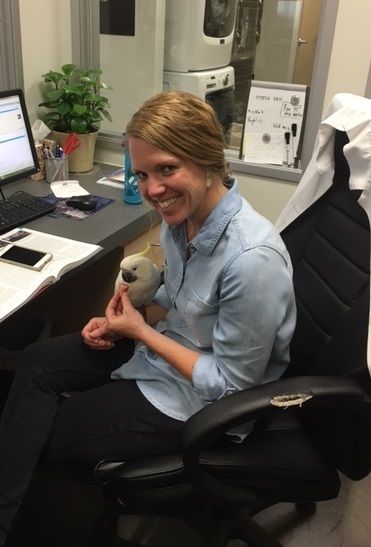 Dr. Riehl completed a small animal internship at Loomis Basin Veterinary Clinic in northern CA where she fell in love with surgery and emergency medicine. She followed Dr. Thomas to Escondido where they worked together at a busy emergency clinic. She then worked as an emergency clinician at a specialty/emergency hospital where she was able to work with many specialists including internists, criticalists, neurologists, cardiologists, surgeons and oncologists. She learned a great deal about each of these specialties during her time there. Dr. Riehl looks forward to building long term relationships with her clients and patients. She spends her free time with her husband, 2 kids, and her 2 dogs, Moby and Bettis. She loves working on various house projects, gardening and going on hikes and bike rides with her family.